Calculating the curve for a new road… locating a mine… or finding the boundaries on a piece of property… all rely on the efforts of surveying and mapping technicians, who collect data and make maps of the Earth’s surface. Surveying technicians help surveyors and engineers take—and document— measurements of the land. They place stakes and search for previous survey points such as stone markers. Surveying technicians typically work full time, outdoors, in all types of weather. They stand for long periods, and may walk and climb hills carrying heavy instruments. They may need to commute long distances, or even relocate to a worksite temporarily. Mapping technicians help cartographers and photogrammetrists create maps from information databases, as well as edit and process images collected from the field. Mapping technicians typically work full time. They generally use computers in office environments, and may travel to courthouses or lawyers’ offices for research resources. Some specialize in Geographic Information Systems —or GIS— to convert data about a location into a digital format for wider use. Most surveying and mapping technicians work for engineering, surveying and mapping firms or for local government in the highway or planning department. 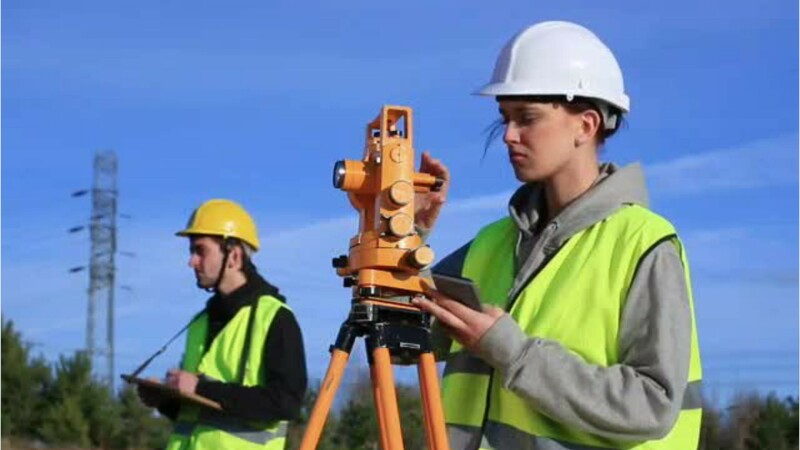 Most surveying technicians have a high school diploma or equivalent, and learn on the job from a surveyor. Mapping technicians need experience with GIS, and often have a related associate’s or bachelor’s degree. Conduct surveys to ascertain the locations of natural features and man-made structures on the Earth's surface, underground, and underwater, using electronic distance-measuring equipment and other surveying instruments. See more details at O*NET OnLine about surveying technicians. Surveying Technicians by U.S. Department of Labor, Employment and Training Administration is licensed under a Creative Commons Attribution 4.0 International License.